We were watching TV the other day, on the odd day that you actually get to sit down around here (kids must have been gone)... and someone mentioned a Cherry Cabernet Sauce for the meat they were grilling. We turned to each other simultaneously and said "Yummmm!" At that point, I knew we had to try it. Let the games begin! 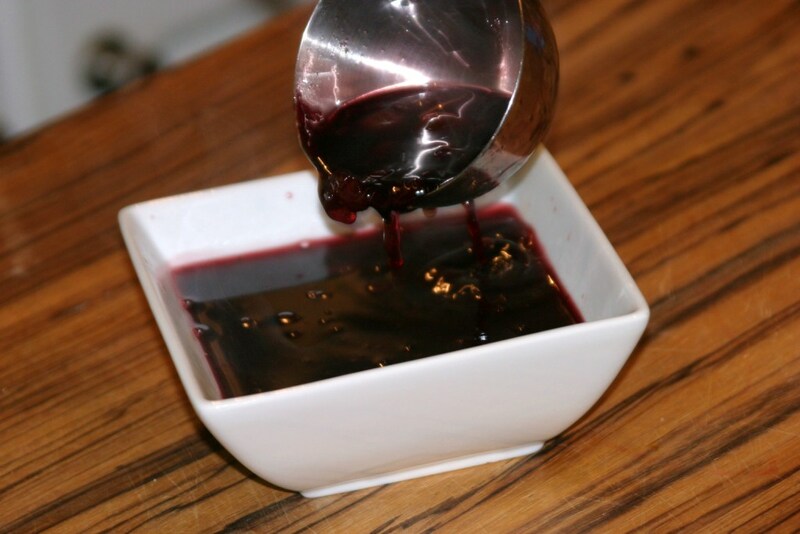 This is a SUPER DUPER easy cherry wine sauce that would compliment just about any meat you put on the grill I think... steak, pork, turkey, etc. 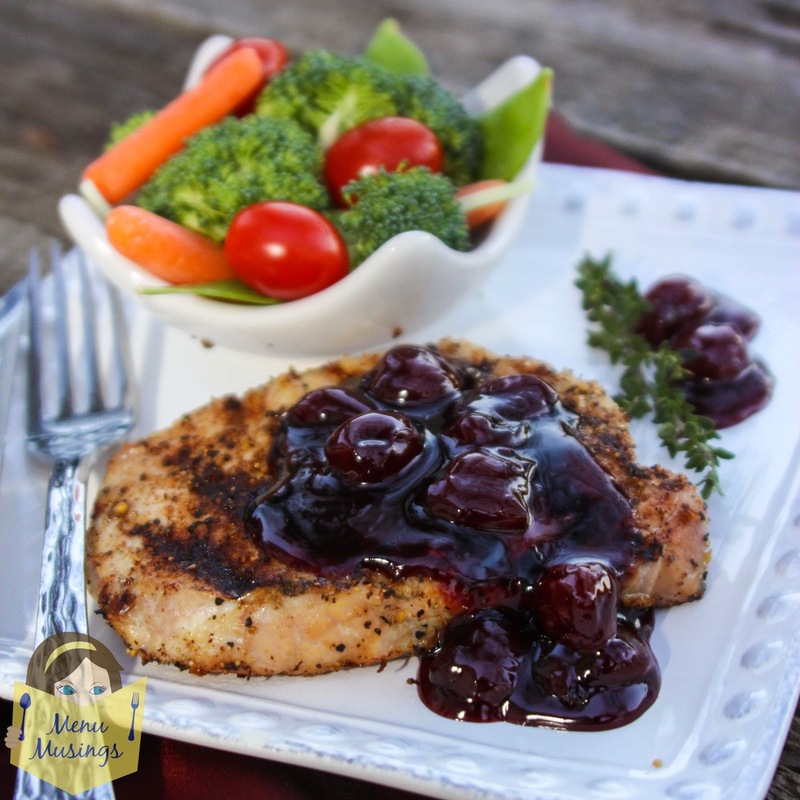 Season pork chops. 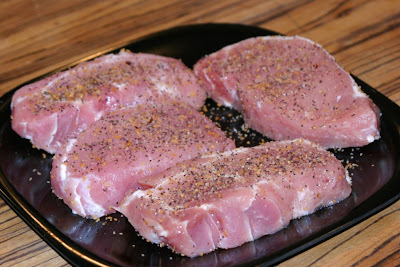 Allow them to come to room temperature before grilling. Peel the garlic, dump all the ingredients into a saucepan and simmer over medium heat for 10 - 15 minutes. Turn off the heat and remove the garlic clove and thyme sprigs. Transfer to a serving bowl, and serve warm, or room temperature. Sauce will thicken slightly as it cools. 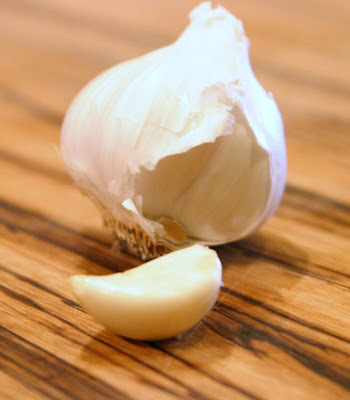 Peel a clove of garlic, but leave it whole. 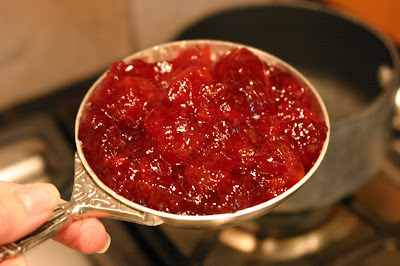 1 cup of cherry preserves. 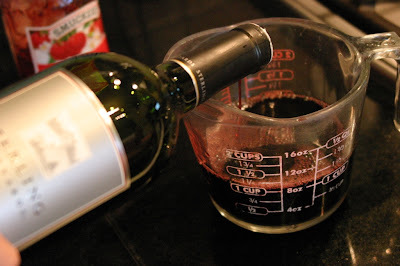 1 cup of Cabernet. I know... hard to part with! 4 sprigs of fresh thyme. Do not strip them. Leave whole so you can fish them out later. Bring to a boil. Add the slurry of cornstarch and water (not pictured). Simmer and reduce. It will probably take around 10 minutes or so. Transfer to a serving dish. This step also speeds the cooling. The cherries are like little rubies of goodness in a silky, burgundy liquid gold. 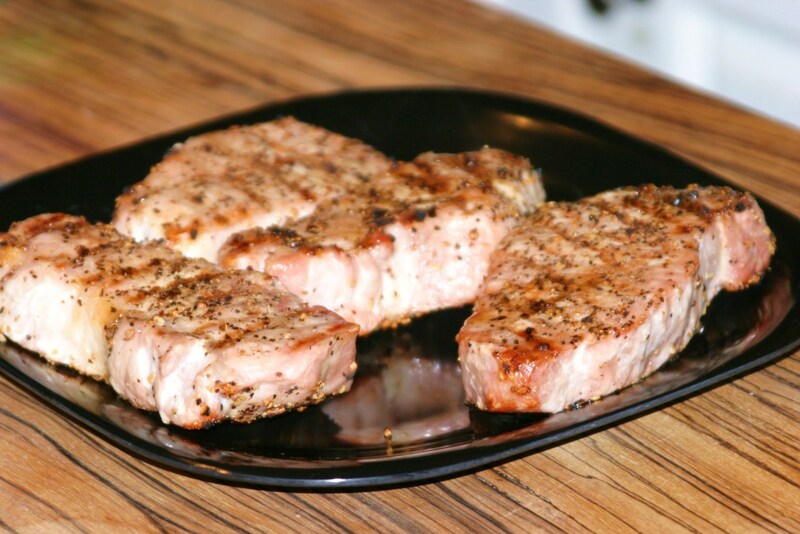 Allow the grilled pork to rest for a few minutes to allow all the juices to redistribute so you'll have juicy meat! Either spoon the glaze over the meat, or serve in a dipping bowl along with it. Peel the garlic but leave whole. Dump all the ingredients into a saucepan and simmer over medium heat for around 10 minutes. You may add a little cornstarch slurry to thicken if desired. 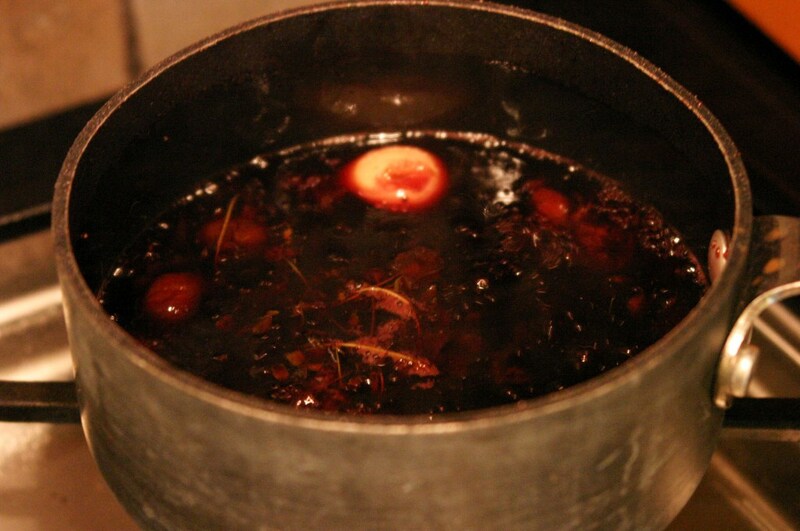 Turn off the heat and remove the garlic clove and thyme sprigs. 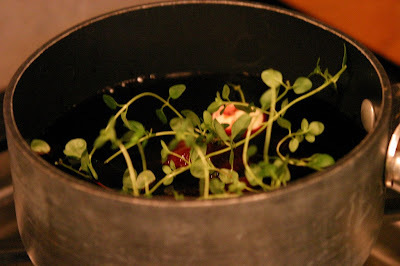 Transfer to a serving bowl, and serve warm. Sauce will thicken slightly as it cools. Season pork chops with your seasoning of choice. Allow them to come to room temperature before grilling. Allow the grilled pork to rest for a few minutes to allow all the juices to redistribute so you'll have juicy meat! Either spoon the glaze over the meat, or serve in a dipping bowl along with it.